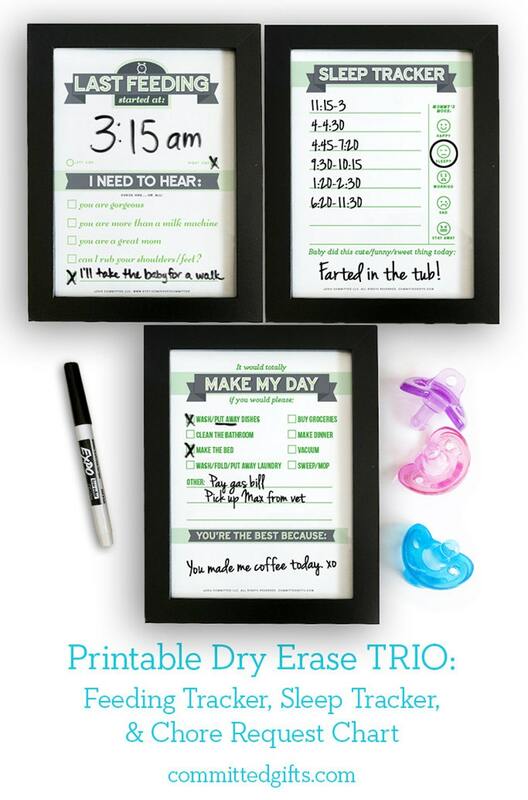 Printable Dry Erase Newborn Feeding Trackers are back! Upgraded with a Sleep Chart and Chore Chart, making this baby shower gift handy for years to come! In my shop, in 3 colors now. 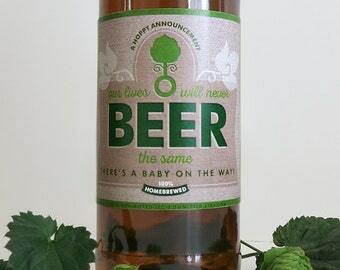 Make this handy baby shower gift that supports mom for years to come! 3 pink inserts to keep mom's sanity intact for a lifetime! Includes digital files of the popular Newborn Feeding Tracker, Sleep Tracker, and Chore Request Chart. As baby grows, simply remove the back and replace the newborn tracker with one of the included inserts: track sleep and mom's mood, or ask your partner for help with chores/tell them how great they are! 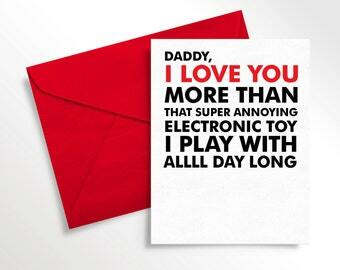 Continue to use your tracker to facilitate communication in your family, and to maintain your sanity. With your newborn comes sleep deprivation like you've never experienced. When you think to yourself, "I JUST fed you 10 minutes ago!" 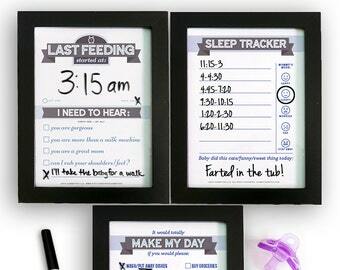 the Dry Erase Newborn Feeding Tracker can set you straight. Once your baby has made that glorious 6-hour sleep stretch, you might be ready to move on from the Dry Erase Newborn Feeding Tracker. The next stage in baby’s development is their naps! I’ve found that mamas are still quite sleep-deprived despite the longer stretches, and it’s helpful to see at a glance baby’s sleep pattern for the day. Moreover, being at home with a baby lends itself to a range of moods for yourself! 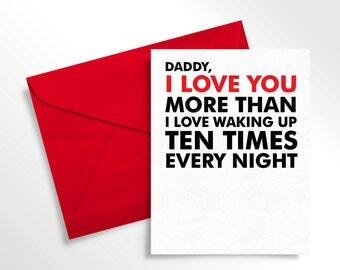 Share with your partner how you’re feeling, and keep communication open. Before the chaos erases all memory of the sweet little moments, be sure to jot down something that made you smile. Once you've got this mommy thing down, you might be ready to focus on your house management and your relationship again! Politely request help from your partner, and bolster their confidence by saying something nice to them each day. • Once you purchase, your order confirmation will have a link to download your file. • Print the inserts and explanation card at home, or place on a jump drive and print at your local print shop. • Once you purchase a pdf, you're welcome to print it as many times as you need! 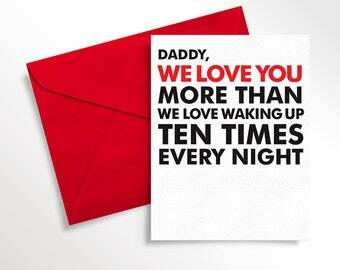 • Place in a 5”x7” frame of your choosing, and include a dry erase marker! Attach the explanation card to help your new mama get off to the right start. "Second time ordering and can't wait to order again soon...A unique gift that is thoughtful, inspirational and supportive." ~Erika Z. "So pretty, my sister is going to love it!" ~Gladys J. "Darling. Fast service. Exactly what I was looking for! Thanks so much!" ~Vicki R.
"So adorable! I had one sent to my (very pregnant) sister and she loves it! :) Thank you so much!!!" ~Skyler S.
If I print at home, how does this become dry erase? Once you print and trim, place in a picture frame with a glass front (not acrylic). You’ll be able to write and erase for years to come! Unfortunately, no. Purchases are as-is. You do have space to make each tracker your own by asking for exactly what you need. Sorry, all digital downloads are nonrefundable. If you accidentally purchased the wrong color, please email me at jennifer [!at] committedgifts.com to remedy. I usually respond within 2 business days. Can you do a different color scheme to match my nursery? I have 3 colors to accommodate most decor schemes. New colors may be coming, but I can’t take custom orders at this time. Why don’t you sell these fully assembled and packaged? I used to! However, the cost of shipping a fragile item (glass picture frame) became too cost-ineffective to sustain. However, you are now able to choose your own frame, which many of my customers have asked for in the past! Why isn’t it printing right? Make sure you’re printing at “100% size” or “Actual size” and not “Fit to paper.” Use the best quality for the nicest-looking print. The colors look weird, not at all like my screen. Unfortunately, every screen and printer have different calibration. Please consult your computer/printer manuals for troubleshooting. Can I put this in a bigger frame? Sure! Then you’d want to print at 140% size to fit an 8x10 frame (use your printer's settings to adjust). In research, I found that the 5x7 size is great for a nightstand that tends to get cluttered with water bottles, late night snacks, alarm clock, nursing pads, and medications. If you have space for a larger frame, go for it! My husband wants a spreadsheet for diapers and feeds to share with our pediatrician. Why would I get this? Glad you asked! I started with the spreadsheet too! But I found that trying to read it in a dimly-lit room (and decipher my husband’s handwriting) was so frustrating at 3 am. The benefit of the Dry Erase Newborn Feeding Tracker is that you can write BIG, and you get vital information to YOU. But it doesn’t need to be exclusive. You can use a spreadsheet too! I’m exclusively bottle-feeding. Is this only for breastfeeding moms? Not at all! There’s space to note ounces under the time. Knowing how much was fed last will help know if it’s been long enough! ©2017 Committed LLC, all rights reserved.